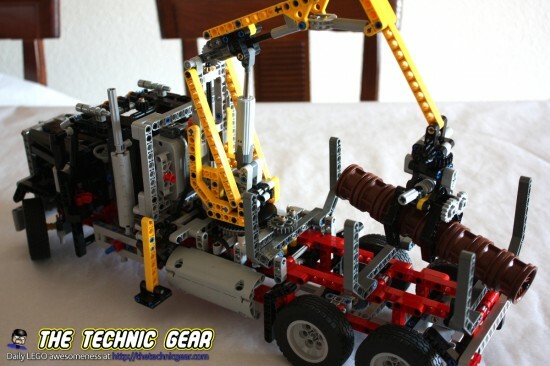 The LEGO Technic Logging Truck. I build this set during last summer but I haven’t found time to write this review till now. I have to say that I didn’t like very much this truck when I bought it. My main goal was a “cheap” source of wheels. Where can I buy LEGO 9397? The massive Logging Truck is ready for some serious lifting action! 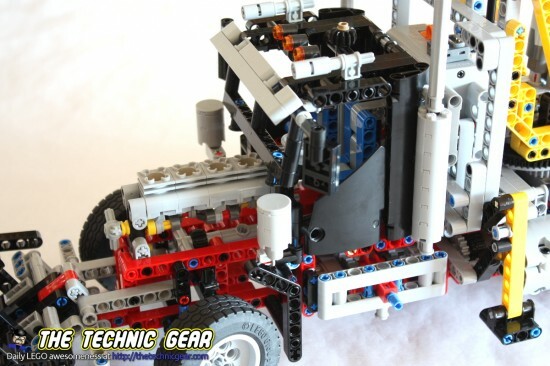 Use the Lego Power Functions control box on the side of the truck to lower, raise and turn the motorized grabber arm, or to extend the outriggers. Then turn and open the claw to lift even the thickest logs. This huge model also features functioning steering, opening doors and hood, and with a detailed engine bay with working piston engine, it’s like the real thing! Rebuilds into a container truck with snowplow. Not bad. This set’s box is much like the Racer Car or the Helicopter. It is a big box, but not as big as the 4×4 Crawler or the Mobile Crane. The box, as it is usual on the Technic range, is almost full. It features on the front side the main model as well as the Power Functions features. On the back side you have the model B. 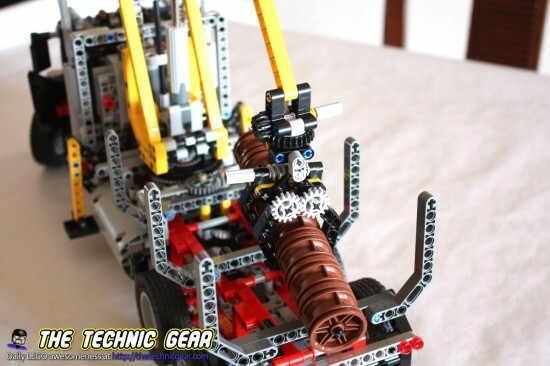 Three instructions manuals for the model A, and as it is usual with LEGO Technic range the model B instructions must be downloaded from LEGO web. The model is nice to build but I really didn’t get as much fun with it as with the Unimog or the 4×4 Crawler. Here is the timelapse building. 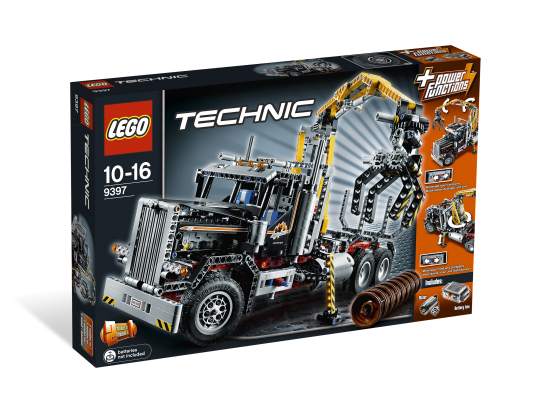 The set features a Power functions M-motor to operate the crane, and well, it is a decent job but I feel that it would looks more awesome if it were operated using pneumatics. Overall, it is a model easy-enough to build and you can have it up in three or four hours, not as the 42009 Crane that takes a lot of time ( and that’s not always negative ). Let’s review each part worth talking about. The truck it is very nicely done and although it has gaps that let you see under the hood, the overall effect is quite nice. You can raise the front hood of the truck to see the (fake) motor working. One of the gas tank on the sides of the truck hides the battery pack. 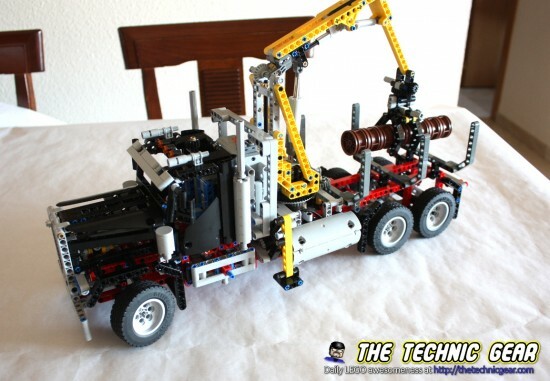 This model doesn’t suffer the same problem that the Unimog that after a few days built it was higher from one side than the other, mainly because this truck lacks of suspension springs. On the left side of the truck you have a level to operate the crane. It has only two positions, one to make the crane rotate and the other to make it go higher or lower. The process is really slow because of the linear actuators. Finally, on the end of the crane boom you have a gear to manually operate the claws that grab the log. It is not a bad model, but I personally don’t like it. – It is really playable. 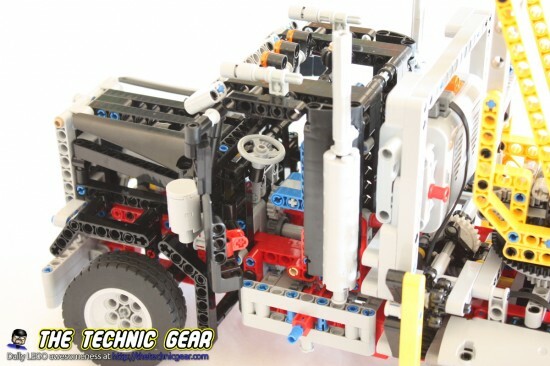 Does LEGO 9397 worth the money? Well, I think it does because you get a decent amount of parts that would only find on more expensive sets. The model is right now retired, so if you are fast enough you may find one still for a decent price.